MacGAMUT ear-training software is a flexible, graded ear-training environment for serious music students, from novices to the most advanced. This CD-ROM is an introduction to the lives and music of eight composers from the Baroque, Classical and Romantic Periods. 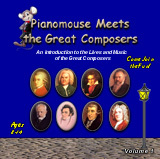 Each composer biography is followed by fun, interactive games that test your knowledge. Includes J.S Bach; Handel; Haydn; Mozart; Beethoven; Schubert; Brahms; Tchaikovsky. 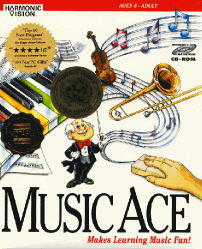 This CD-ROM provides a basic foundation for the beginning music student. Each theory lesson is followed by a fun, interactive game that tests your knowledge. 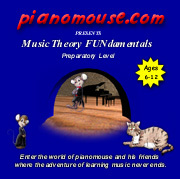 This CD contains 16 Lessons and Games; Review Tests and Games; 4 Ear Training Lessons; The Pianomouse Story. Pricing for Lab Packs is per station for 10-25 Stations. Call or email for pricing for more seats.